‘Out of adversity comes opportunity,’ or so the saying goes and when the weather put paid to plans to host the winners of our Nexans Ice Driving Promotion at the Southern Hemisphere Proving Grounds, an alternative had to be found, and fast. 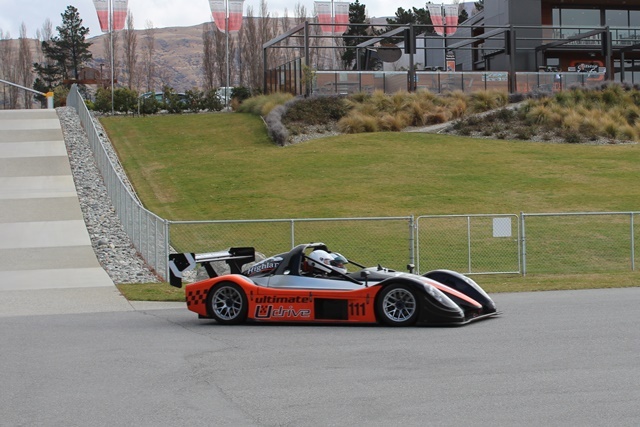 Highlands in Cromwell, an iconic tourism destination and a long-time supporter of Powerbase, stepped in at short notice and put on a day to remember for 32 lucky people. The Keys to Highlands experience gives groups the opportunity to have the ultimate playground to themselves for a full day and like every playground, you need a healthy dose of competition, something Highlands offered in spades! The Powerbase posse was made up of the 20 winners of the promotion we ran earlier this year. The winners were from Telfer Electrical, Advance Electrical Wholesalers, Industrial Electrical Supplies, R Redpath Ltd, Scott Electrical and K Simpson Ltd. Nine more of their members paid to be a part of the day while Nexans was represented by Mike Pilbro and Jonathan Elkins. Graham Copp, Powerbase Group Marketing Manager kindly “volunteered” his time and did a great job of looking after everyone. The morning started with a briefing and morning tea in Highlands private members lounge before our members were split into different groups to do a series of activities including: a Subaru WRX experience, the choice of a self-drive Radical or Mustang experience on the circuit, blindfolded dirt buggies, a fast lap in the brand new Highlands Ferrari 488 GTB, and a go-kart Grand Prix. Off the track, there was a helicopter ride to the top of Mt Michael where everyone was treated to a glass of win. Highlands put on a great lunch and at the end of the day there was a prizegiving function where our members reflected on what truly was a once-in-a-lifetime, VIP experience.